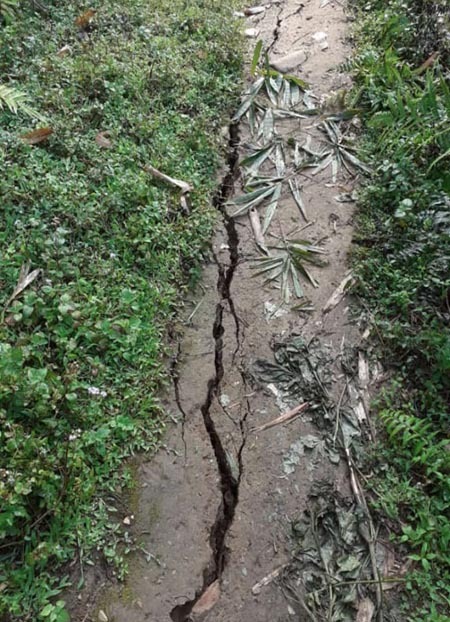 ITANAGAR, Apr 14: The Lower Siang district administration has clamped Section 144 CrPC in the areas surrounding the Sugom polling station, following a group clash which erupted in Hime village after the electronic voting machine (EVM) in the polling station had been damaged on polling day. 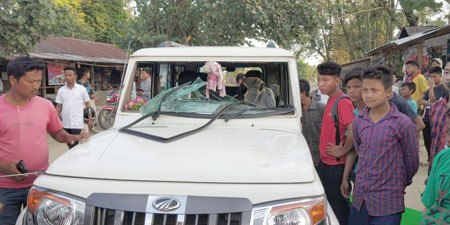 On 12 April, the Bolero car of one Tasen Ruti, a supporter of BJP candidate Tapak Lendo, was allegedly damaged by PPA supporters near Hime. However, sources claimed that Ruti’s car was damaged as he was allegedly campaigning around after the EVM had been damaged. The deputy commissioner in his order stated that political parties have engaged their workers to campaign in the areas around the Sugom polling station. “It not only violates the instruction of the Election Commission of India vide ECI No 437/INST/2015-CCS, issued on 9 October, 2015, the model code of conduct is still applicable within the entire Likabali assembly constituency,” the order read. The administration has also put restriction on the presence of political functionaries and their supporters, including those from outside the area of the Sogum government ME school polling station.